Any non-resident contractor wishing to do work within the town limits of Wyoming must obtain a non-resident contractor license. All business license fees shall be paid annually on or before September 30th. Any person conducting a business in the Town of Wyoming must obtain a business license from the town hall. To apply for a license you must complete an application and pay the required fee. All business license fees shall be paid annually on or before September 30th. After October 1st interest shall accrue on any unpaid balance of 10% per month. The fee is based on the number of employees a business employs. Any person, partnership, corporation, firm or other entity engaged in the business of providing accommodations to any other person for a rental fee must complete an application and pay the required fee. All landlord license fees shall be paid annually on or before September 30th . After October 1st interest shall accrue on any unpaid balance of 10% per month. The Town of Wyoming has recently adopted a Rental Property Ordinance in order to insure the health, safety and welfare of the community. This Ordinance will include single-family houses, multi-family units, apartments, and any residential property that is leased to an individual other than the property owner. The intent of this Ordinance is to establish a base standard to prevent or correct bad living conditions that presently exist or could exist in the future. For years, the Town of Wyoming has responded to complaints from tenants, other nearby rental property owners, and residents about the lack of property maintenance on many rental properties. 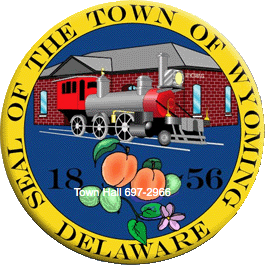 The Ordinance simply requires that all rental housing in the town limits of Wyoming, Delaware be inspected for compliance with the state and local laws involving property maintenance. It is highly recommended, but not required that the rental property is vacant and in between tenants at the time of inspection. There is a $50.00 fee for the inspection prior to the issuance of a rental certificate of occupancy. This fee includes one follow-up inspection to allow the owner to correct any violations. Any other inspections after the initial and one follow-up inspection will require an additional $50.00 fee.